I just love old wives tales, this is a new one for me. I was speaking to a friend and customer yesterday, Leona was telling me when she was a kid and she or one of her siblings got a cut her Mom would send one of them to the barn to get some fresh cobwebs to put on the cut. She said her Mom would rinse off the cut and put the cobwebs right on the raw skin, then bandage the wound and leave it overnight. Apparently, there is room for investigation with this method of treatment. I found data to support clotting and antimicrobial benefits of the webs. Here is one such report from Mother Earth News. “I am a Reiki Master Healer and have rediscovered a wonderful - and seemingly forgotten - method for treating cuts and scrapes: spider webs. Apply spider webs to cuts and scrapes for almost instant wound sealing. There seems to be no cross-contamination. I have used this remedy on myself for several years now with amazing results. This remedy got a trial by fire the first time I used it when I got an extremely deep cut from a can lid and the bleeding was profuse. I grabbed a few webs from outside the door and applied them directly to the wound, debris and all. Then I used a butterfly bandage to hold the wound edges together after the web was applied. Thus happened on a Friday evening, and by Monday the cut was sealed tight and no longer needed any bandage. There was very little soreness and no redness, irritation or swelling. The finger was completely usable by that Monday. The web seems to cause clotting immediately and it hardens to form a natural scab protection that readily peels off when wet. I have, unfortunately, had reason to use this remedy several times and each time I get the same results. The only side effect I have noticed is that the wound tends to itch due to the rapid healing. “It's not the webs themselves that supposedly protect against microbial attack. It's a chemical coating on the silk, much like the sticky coating for prey capture, which is released from one of many glands as the spider spins the web. 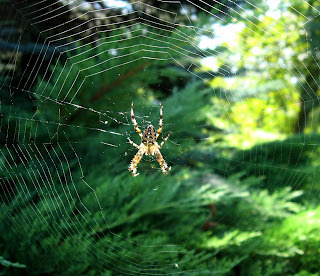 Arachnologist Rainer Foelix notes in his book, Biologie der Spinnen, that the coating may protect old and abandoned webs from fungal and bacterial attack. 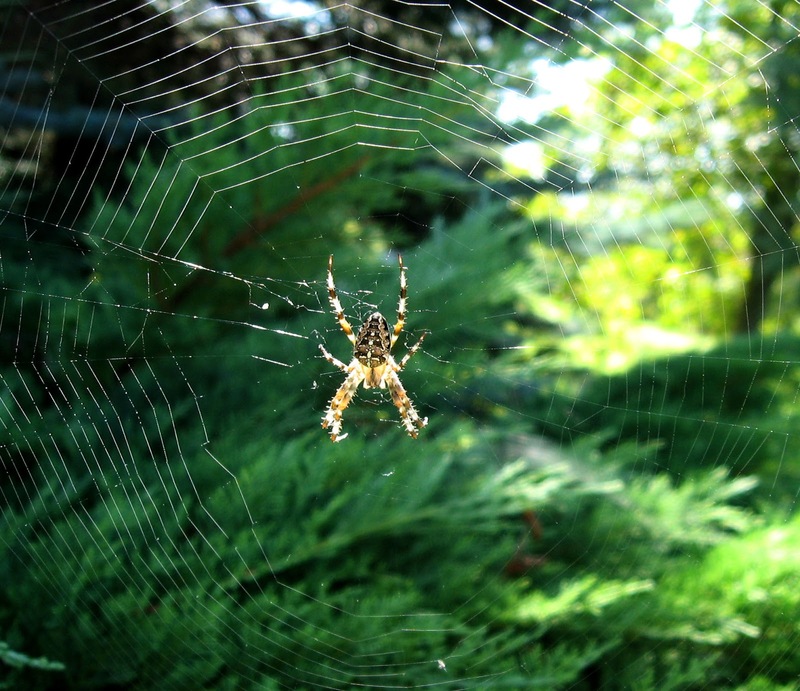 "This antiseptic quality of the spider web," writes Foelix' colleague Fritz Vollrath in Scientific American, "may account for its renown as a folk remedy for dressing wounds." As I continued to search for information on the topic I found information stating the web will stop a minor cut from bleeding. The recommendation is to place the web directly on the wound if the web has adhered to the skin soak in warm water until it come loose. Healing claims range from overnight to several days. I feel certain that the severity of the injury is a determining factor that was not sufficiently compared in any of the research I read. Do you remember McGyver? He probably knew all about spider web bandages. Vitamin C crystals will heal cuts especially paper cuts. I first used it on a paper cut by sprinkling the Vitamin C crystals directly into the wound. It stings briefly (about 30 minutes) and then the pain is gone. The wound was completely healed overnight. I have continued to use it on cuts and wounds with very good results. The blood from the wound turns almost black within a few minutes of putting the Vitamin C crystals on the wound. Vitamin C is necessary to produce collagen and I am guessing that the Vitamin C crystals allows the blood to make collagen rapidly. Before putting the Vitamin C crystals on the wound, wash with soap and water to flush any dirt from the wound. This sounds like a much more sanitary remedy than the spider webs although I do find Old Wives Tales interesting. Thank you for the tip on Healing with C.
This idea has obviously been around a long time. In Midsummer Night's Dream Bottom says to Cobweb, "I shall desire you of more acquaintance, good Master Cobweb: if I cut my finger, I shall make bold with you."